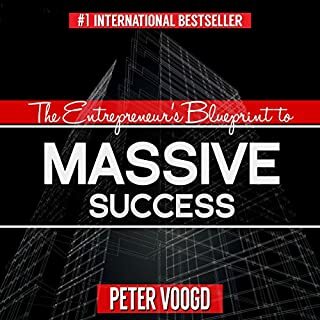 Where does The Entrepreneur's Blueprint to Massive Success rank among all the audiobooks you’ve listened to so far? Love that peter talks straight to the point and talk about mastery over information overload. It's not a 14-15 hrs long book. I like books which are straight to the point and provide techniques and information in a concise manner. He has nailed it and with 6 hours of listening time provide most valuable information. 6 c's he talks about. Clarity, Consistency, Circle of influence, confidence , creating result rituals and continual growth & learning. If one has complete clarity of what they want, have right people in his/her network, be consistent with his actions that aligns with the goals, increase his confidence account by doing what one say they will do, have an open mind to learn and grow and create rituals/habits that aligns with the goals. There is no reason why one cannot achieve and live an exceptional life.